It started with Joe. My elderly neighbor had lost his wife and his only child lived in New Jersey. He was totally deaf. How could I not help? My children were then young, and we adopted Joe. How could I have known he would become my charge for over five years? After Joe�s death, my own elders started falling like dominos into my care. First, my childless aunt and uncle moved to Fargo, North Dakota, where my family lived and still lives, to be closer to all of us. Then the strokes began with Uncle Wilkes. Then it was my in-laws and my parents. At one time, I was running between care-settings seven hours a day, seven days a week, helping elders, while caring for my own sons, one of whom has chronic health problems. How could I have known it would last twenty years? We go into caregiving � usually gradually � thinking in the short term. For most people, it last much longer than anticipated. I now know that I should have taken better care of myself from the start. I hope, through my work with caregivers, that I can help them do what I didn�t; I hope to help them learn the importance of self-care. During the years of caregiving, I wrote Minding Our Elders: Caregivers Share Their Personal Stories, though the "Epilogue" was written after my last three elders died. I was divorced at 56 � three elders still living and needing me. I got back into the "real" job market, learning, on-the-fly, the skills needed in the modern world � mostly technical. But, eventually, through my job as librarian at a newspaper, I was able to start to write an elder care column, also titled "Minding Our Elders." I now blog on www.mindingoureldersblogs.com, www.mindingoureldersblogs.com, and www.ouralzheimers.com. Because I had written a book and knew I would need to speak in public � and because of had a horrible fear of doing so � I joined Toastmasters International. It paid off. I gained the courage to speak to groups at workshops and conferences in North Dakota and Minnesota and anywhere else I am called. I also gained the courage to do radio interviews. I�ve been on scores of shows including The Bev Smith Show, Radio Health Journal, The Tom Pope Show, The Tommy B. Show and Coping with Caregiving. Minding Our Elder�s is a portable support group. Grieving begins when adult children start to see their parents' decline. They need support through the whole process. Minding Our Elders: Caregivers Share Their Personal Stories keeps that support at the caregiver's fingertips. Three in the morning and you can't call a friend? No problem. The storytellers in the book understand. Read one story. Read two. Feel the comfort and support of others who have gotten through this. Tomorrow is another day. Also, the website, www.mindingourelders.com, offers many support links and agencies. Through my book, I offer emotional support. Through my newspaper column, I give practical advice and resources. Through my blogs and speaking, I hope to do both. 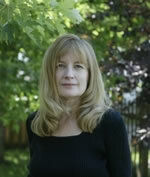 Carol Bradley is a Columnist, Author, Speaker and Blogger on issues of Elder Care. She has written Minding Our Elders: Caregivers Share Their Personal Stories which has been chosen as a text for college gerontology classes as a vehicle to humanize the caregiving experience to students. See Carol Bradley's Profile on Experts.com.